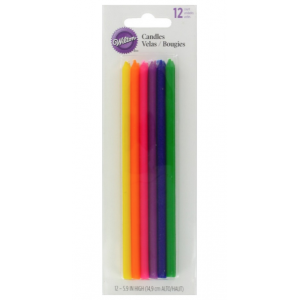 Rainbow Long Candles are great for birthdays, parties or special occasions. Sized right for larger cakes or for making a bold statement on any cake. Clean burning. Looks great on cakes and cupcakes.